Design, print, and mail your business forward. Contact us today! NCR forms are carbonless paper sheets that when written upon, a carbonless copy is made on the sheet below. 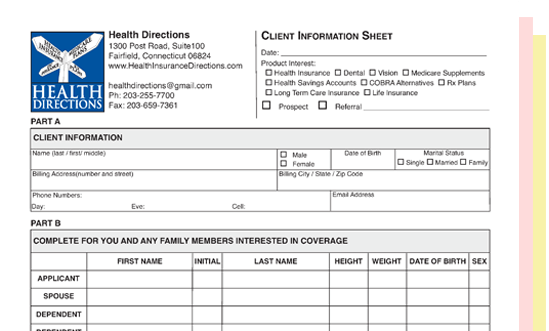 It can be important to have forms that can be easily separated for your customer’s convenience. Printing these types of documents requires planning and certain specialized precision equipment. Through our service, we can help you format and bring to life the forms necessary for your customers and your own records while maintaining the high quality and standards of all the products offered at ABC.